The Savegre River is considered the most pristine river in Costa Rica. 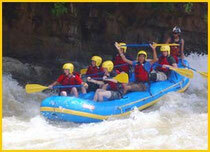 It is the perfect rafting river for families and young kids. Its rapids are lots of fun. During the descent you will have the chance to enjoy the canyons, waterfalls, and tropical scenery. Along the run we will stop to enjoy the waterfalls and have some lunch. From 7:30 am to 3:30pm. 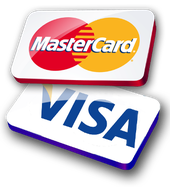 Includes: lunch, transportation, professional equipment and lots of fun. Requirements: Participants must know how to swim, have the abilities to walk in slippery or unstable places and paddle. Between dives, you’ll enjoy a gourmet picnic on the beach. You can relax, take a nap in the shade or hike a trail up to the archeological sight and lookout with your guide. For those who want to be more active, you can always play a game of beach ball or water volleyball. We leave from Playa Uvita. This is a pleasant ride that takes on average only 11/4 to 1 ½ hours depending on conditions. 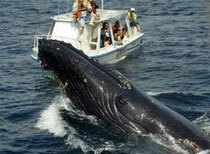 Keep an eye open for sightings of whales, dolphins and sea turtles depending on the season. Return time: between 3:30 p.m. and 4:00 p.m. The dolphin and whale watching tour will bring you to some of the most beautiful spots along the pacific coast of Costa Rica, which includes the Marino Bahia Ballena National Park, the area surrounding Caño Island, and the Osa Penninsula coastline, near Corcovado National Park. 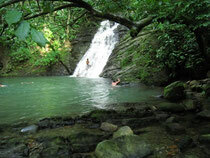 A great place that you may want to visit during your stay in Dominical Beach, Costa Rica, is the refreshing Poza Azul Waterfall, also known as Dominical Waterfall, located approximately 5 minutes south of Dominical, look for a sign on the left that says Poza Azul follow the gravel road for approximately 2 minutes and after passing a creek look for a wider area (left) on the road where cars park, the waterfall is in front. You cannot see the waterfall from the road, you have to cross the road and look for the stairs that go down to the waterfall. There are no signs so it is always advisable to ask. At Dominical Waterfall you can swim in the crystalline waters and enjoy the surrounding nature, it is common to see beautiful birds like parrots and toucans in the trees around the waterfall. Try the "Bamboo Yoga" experience ! A wonderfull place to enjoy this relaxing activity. A great teacher team will offer you a full planning of different yoga style in a very cosy atmosphere!